The University of Nottingham and local construction company, Robert Woodhead Ltd are joining forces to build a brand new £5.4m research facility. Designed to Passivhaus and BREEAM standards. 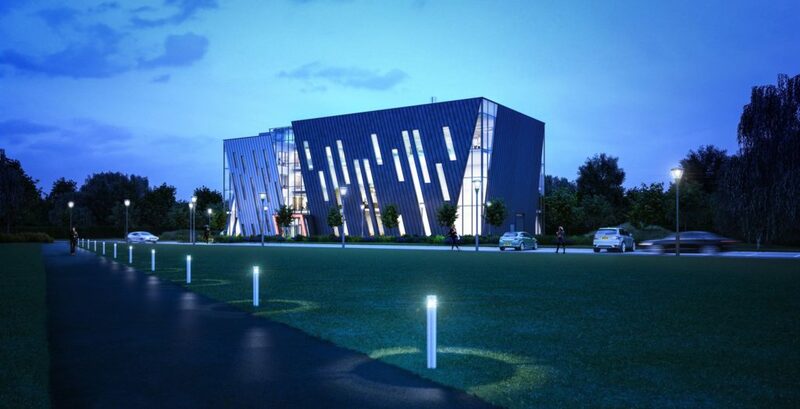 The building will be one of the most energy efficient research facilities in the UK. Work on the RAD (Research Acceleration Demonstration) building on Jubilee Campus has now begun. It is being delivered by Nottinghamshire family construction company, Robert Woodhead Ltd’s specialist team, Woodhead Education, which anticipates to complete the project by spring 2018. As part of the University’s work with the Innovate UK funded Energy Research Accelerator (ERA) initiative, the RAD building will help provide more space and facilities for pioneering research projects. Set on the former Dairy Crest site on Triumph Road, the building’s unique design is one of the first research constructions to combine the sustainability measures of BREEAM (Building Research Establishment Environmental Assessment Method), and Passivhaus. BREEAM is used as a way of measuring how sustainable a building can be, as well as enhancing the health and wellbeing of its end users. The Passivhaus construction method provides buildings with a high level of comfort for its users, while using very little energy for heating and cooling. Structures are built with meticulous attention to detail and rigorous design and construction according to principles developed by the Passivhaus Institute in Germany. Nottingham’s RAD design includes laboratory space for the various research groups, office space for academics and postgraduate students, as well as a central atrium with breakout spaces. The multidisciplinary research labs are equipped with state of the art characterisation and test equipment designed to take novel energy materials and technologies from the lab bench into working devices – ranging from gas storage materials and batteries to water-splitting surfaces and fuel cells. The cutting edge ambient pressure x-ray photoelectron spectroscopy facility will allow research teams to see how the atoms and molecules interact at the active surfaces of these devices, at pressures closer to their normal operating environment than ever before. Together these facilities will open up pioneering research from the science that underpins energy technologies through to the engineering that integrates them into our energy system. This is the third project delivered by Robert Woodhead Limited on the Jubilee Campus in the past few years. Last year the team finished work on the Ingenuity Centre, which was created to reflect the site and the city’s local history, in its Raleigh bicycle wheel design. Before that the company completed the fitness suite extension to the Jubilee Sports Centre. Craig Pygall, Construction Director for Robert Woodhead Ltd, said: “We’re delighted to again be working on behalf of the University of Nottingham on such an innovative and unique campus. The design of the building will sit fittingly among its neighbours on Triumph Road, much of its innovation, won’t be seen, as its BREEAM and Passivhaus standards will be built into the fabric of the building. I look forward to watching as this fantastic structure begins to take shape. The architect for the scheme are Lewis & Hickey, with BWB acting as structural & civil engineers and CPW as services engineer. AECOM are project managers and Turner & Townsend are cost managers.